As a dog owner, you dread the day you have to choose between your savings and your dog’s life. However, with a good pet health insurance plan, that day never has to come. The right pet insurance plan will cover your dog’s yearly checkups, vaccines, minor ailments, and major surgeries. It’s worth noting that the average healthy dog will accrue about $5,000 in veterinary bills over their lifetime. This cost can double if your dog ever ingests poison or foreign objects, gets bitten by a stray, hit by a car, or affected by a serious illness such as cancer. Or, if your dog tears his ACL like mine did, resulting in about $3,000 in medical expenses. By taking your dog to the vet once a year — even when your dog is healthy — you’re reducing the risk that your dog will suffer from serious health problems in the future. Dogs need to go to the vet once a year. Regular procedures — from stool samples to vaccinations — should be covered. Puppies may also need prescriptions for de-worming treatments and microchip implantation, which should be covered. Cancer caught at an early stage can be successfully removed and treated with the help of chemotherapy or surgery. Parasites can be remedied before the dog even experiences side effects from them. A plan that covers annual dental cleanings will keep your dog’s teeth from weakening with age — so your dog will be less likely to need expensive, painful dental surgery. Most animals have innate survival instincts to avoid showing signs of pain. That can make it difficult for you to detect when something is wrong with your dog. 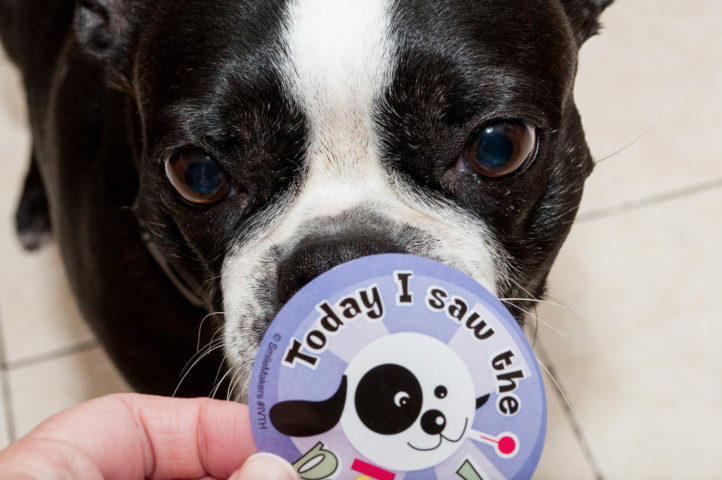 Regular vet visits make it possible to spot health issues earlier. As a result, you’ll be able to treat your dog earlier, eliminating the likelihood that they’ll be suffering in silence whenever they’re sick or injured. Your veterinarian will be able to recommend a specialized pet health insurance service. After getting the vet’s advice, take the time to do a little research — because every dog insurance policy is different, and you need to make sure you will be covered for the services your dog needs the most. If you have just one fairly healthy dog, then you will only need a basic plan. If you have a dog that is prone to health issues or multiple dogs, then a full-coverage dog insurance plan with few limits is a necessity for you. Keep in mind, some pet health insurance plans cover genetic conditions that are common with certain breeds — such as hip dysplasia — while others do not. You’ll want to know ahead of time which breed-specific conditions will (or won’t) be covered for your dog. Another example… bulldogs, pugs, and other breeds with shorter faces are typically predisposed to sleep apnea and breathing issues, so they need to be covered with a specific, inclusive plan. Dogs at least 8 weeks of age are eligible for coverage under a pet health insurance policy. 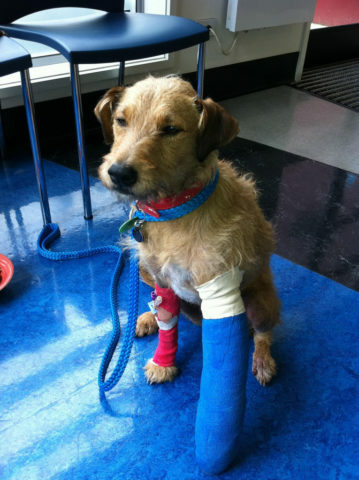 Dog insurance plans typically cost between $9 and $65 per month. Your dog’s breed, age, and existing health conditions will affect the premium cost. Yes, older dogs can can be covered too! Multiple dogs can usually be covered at a discount if they live in the same household. You can choose to pay either a per-incident deductible or an annual deductible towards your dog’s healthcare before the pet insurance kicks in. A high-deductible plan is the way to go if you want to pay a lower monthly premium. Here’s more about pet insurance deductibles. When you have pet health insurance, you need to pay out-of-pocket for the vet services you receive, and then make a claim with the insurance provider. Approved claims will be reimbursed — typically they amount to somewhere between 70% and 90% of your veterinary costs. Owning a dog comes with many risks that can be managed with a reasonably priced, full-coverage pet health insurance plan. In addition to assisting with the typical health risks that dogs encounter over their lifetime, some dog insurance policies also help with legal risks. For example, legal fees are covered under some plans — in the event that your dog bites someone and you get sued as a result. Depending on your provider, you may be able to get coverage for several other pet-related services — like the cost of trip cancellations, kennel boarding fees, and even finder’s rewards if you ever lose your pet. What it all comes down to is this: vet visits are the most expensive aspect of owning a dog. A good pet health insurance plan can save you thousands of dollars and give you peace of mind when you walk into the vet’s office. If you know that you cannot easily afford thousands of dollars in unanticipated vet bills, pet insurance makes it possible for you to give your dog the best possible chance at a long, healthy life. Pet Insurance Plan vs Pet Savings Account: Which Is Better? What’s The Difference Between A 3 Year Rabies Shot & A 1 Year Rabies Shot?